Part of the Rossford Schools Strategic Plan is: Students have a safe, secure, and well-maintained conditions for learning. Rossford Schools and the Board of Education take this matter seriously. Our facilities have secured entrances, and a School Resource Officer at Owens Community College where Rossford High School is located through December of 2019. 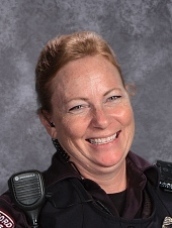 If you have any concerns, please do not hesistate to contact district office personnel at 419-666-2010 or our School Resource Officer Jodi Johnson.